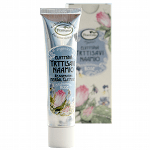 This antioxidant rich Nourishing Facial Cream with Finnish organic Midsummer Rose and herbs revitalize healthy skin functions, protects the skin from external impurities and internal stress. 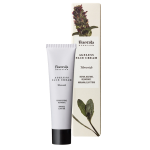 Nourishing Facial Cream renews and revitalizes your skin, keeping it supple, while preventing the formation of wrinkles. 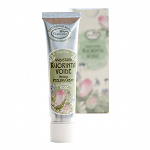 The rosy Nourishing Facial Cream also helps the reversal of enlarged veins; couperosa skin. 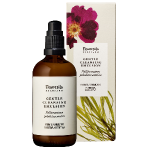 The aromatherapeutic essential oils and flower essences are mood uplifting and open your heart to your own beauty and the beauty of others. Rose is traditionally valued as the flower of happiness. 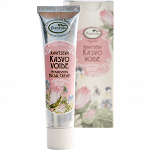 The Nourishing Facial Cream contains rose in the form of extract, essential oil, seed oil and flower essence. 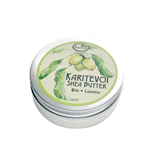 9 special oils and waxes, 10 Finnish organic herbs and three flower essences make this organic cream a unique product. Cold-pressed and organic seed oils of sunflower, argan, avocado, evening primrose, jojoba, sea buckthorn (berries and seeds), rose-seed and almond oils as well as organic Shea Butter and beeswax; are all high quality skin nurturing, healing and protective ingredients. They contain a lot of skin nourishing essential fatty acids, micronutrients and vitamins. 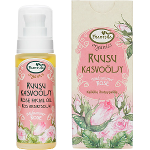 Finnish organic herbal extracts of plantain, self-heal, red clover, lady's mantle, common horsetail, wild pansy and rose stimulate skin functions and metabolism. 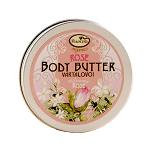 They improve the renewal of skin cells and thereby help the skin to remain youthful and supple. 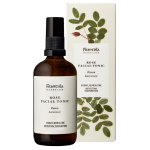 Genuine essential oils of rose, sandalwood, frankincense, neroli, patsuli, aniseed and geranium give the Nourishing Facial Cream a marvelous scent and at the same time nurture and stimulate skin functions. 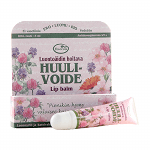 Finnish Flower Essences of yarrow, common dog violet and wild rose elevate the mood, increase immunity and protection ability of the skin and add to a youthful glow. 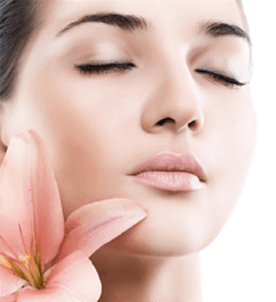 Natural tocopherol, or vitamin E, revives the skin tissue health. Gel from the organically grown aloe leaves and vegetal glycerin moisturize the skin. 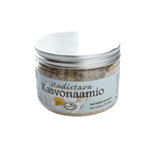 Rosemary and Finnish spruce knot extracts act as powerful antioxidants. Use daily as a nourishing and moisturizing day and night cream. 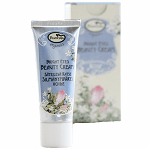 This easily absorbed cream is also suitable under makeup. Ingredients : Aqua (Water), Helianthus annuus (Sunflower) seed oil*, Oil extracts: Plantago spp. (Plantain) leaf*, Prunella vulgaris (Selfheal)*, Trifolium pratense (Red clover) flower*, Rosa ssp. 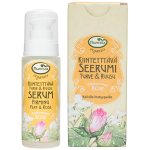 (Traditional Finnish Roses)*, Cetearyl Alcohol, Glycerin, Cera flava (Beeswax), Butyrospermum parkii (Shea butter)*, Prunus amydgalus dulcis (Sweet almond) seed oil*, Cetearyl Glucoside, Cetyl Alcohol, Simmondsia chinensis (Jojoba) seed oil*, Argania spinosa (Argan) seed oil*, Persea americana (Avocado) seed oil*, Rosa canina (Rose hip) oil*, Oenothera biennis (Evening primrose) oil*, Hippophae rhamnoides (Sea buckthorn) seed oil*, Tocopherol, Equisetum arvense (Horsetai) extract*, Alchemilla vulgaris (Ladys mantle) extract*, Viola tricolor (Wild pansy) extract*, Aloe barbadensis (Aloe) extract*, Xanthan Gum*, Coco-Glucoside, Essential oils: [Citrus aurantium (Neroli), Rosa damascena (Rose), Santalum album (Sandalwood), Boswellia carteri (Frankincense), Pogostemon patchouli (Patchouli), Pelargonium x asperum (Geranium), Pimpinella anisum (Anis)], Sodium Benzoate, Sodium Dehydroacetate, Phytic Acid, Olea europaea (Olive) leaf extract, Picea Abies (Spruce) knot extract, Rosmarinus officinalis (Rosemary) extract, Lactic Acid, Flower essences: [Achillea millefolium (Yarrow)*, Rosa canina (Rose)*, Viola riviana (Common dog violet)*], 1Citronellol, 1Farnesol, 1Geraniol, 1Limonene, 1Linalool.